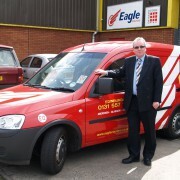 Last month we caught up with Depot Supervisor, David Campbell. He shared with us his love of karaoke and an unexpected run in with a Taggart body prop. 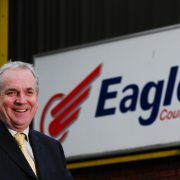 In the hot seat for March is another David, David Keogh who is Circuit Controller for Edinburgh and has been with Eagle Couriers for a year and a half. He tells us all about his weirdest delivery story, his previous career as a professional footballer and why he’d like to teleport himself to the bright lights of Las Vegas. 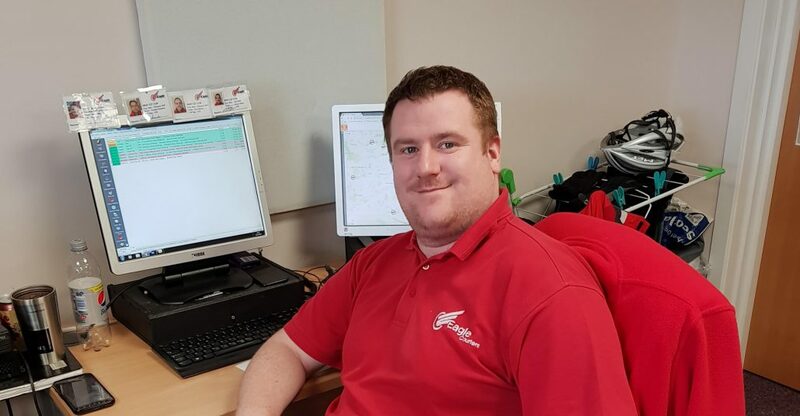 I am the Dispatch Controller for the Edinburgh area, however I’m based in Bathgate. On a day-to-day basis I assist in helping to book drivers for our various deliveries across Scotland and the UK. I really enjoy my job because it’s different every day. 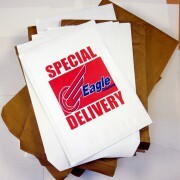 I’ve been working here at Eagle Couriers for a year and a half. 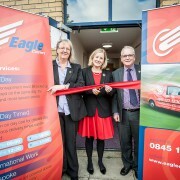 The strangest one I can think of was my very first week on the job with Eagle Couriers. I had to set up a delivery of a human head from a hospital in Livingston and I didn’t know what to tell the driver. Thankfully, he had no bother and got the job done. 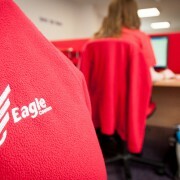 What do you enjoy most about working at Eagle Couriers? I really enjoy the responsibility of being a controller and I love the control room. It’s a great atmosphere and we all get on great. There are five guys and we’re all quite different but find something in common. 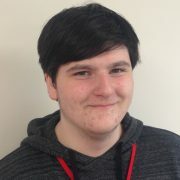 I used to be a professional footballer for Motherwell and I’ve represented my country as part of Scotland under-18s and under-20s. Spending time with my girlfriend. We like to go away for the weekend or go for a drive. I still love my football and go down to Easter Road with my dad at the weekends to watch Hibs. For me it’s all about family. It would have to be brussels sprouts, I can’t stand them. I can just about stomach them at Christmas, but any other time of year they are not for me. We’re all watching our weight in the control room at the moment and I can’t stand the smell when someone brings in brussels sprouts for their lunch – a surprisingly common occurrence! I’ve just recently started watching the League of Gentlemen and I love it, I’ve got so into it. The characters are so strange and quirky. What kind of animal do you think you’d be? During the week I am so busy in my job that by the weekend I just love to be lazy. So I’d definitely be a sloth. If you could have dinner with any four people living or dead, who would it be and why? George Best, just because he’s George Best. Denzel Washington, because Man on Fire is my favourite film. I think the other two would have to be Tom Hanks and Franck Sauzée – he’s my favourite footballer of all time. I’d bring my girlfriend Emma and my dog Spencer. I don’t need a third thing! Definitely flying – I hate planes because I’m 6’3 so I think flying would be a great super power. I’d go back to 1973 when Hibs beat Hearts 7-0. That would be amazing. I’d love to go back to Las Vegas – we flew out there last year for a wedding and I totally fell in love with it. I feel like we didn’t even get to see everything so it would be great to go back.